Bruce Hart is a Leading Researcher for Statoil, a Norwegian company engaged in the exploration and production of crude oil and natural gas. He joined Statoil in 2013, and formerly held an industry position with ConocoPhillips. Since 2009 the focus of his work has been on exploration and development of unconventional "shale" plays. Before joining the petroleum industry, he held research and teaching positions at McGill University, New Mexico Tech, Penn State and the Geological Survey of Canada. Bruce has a Bachelor's degree in Geography and Geology from McMaster University, a Master's degree in Oceanography from the University of Quebec in Rimouski, and a Ph.D. in Geology from the University of Western Ontario. 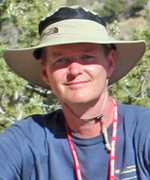 Bruce is an expert in the integration of core, well and seismic data for stratigraphic and structural interpretation. He has over 50 peer-reviewed publications in journals such as Geophysics, AAPG Bulletin, Journal of Sedimentary Research and Geology, receiving Best Paper awards. Bruce has another 50+ papers in other publications (e.g., SPE, URTeC, The Leading Edge, and conference proceedings). He was the 2009-2010 AAPG-SEG Distinguished Lecturer, and a Guest Lecturer for the CSPG in 2006. Previous awards include an HGS Committee Chair Award (2014) and a SW Section AAPG Distinguished Educator Award (2002). He began teaching short courses on seismic interpretation in 1995, and subsequently went on to teach those courses throughout North America and globally. The 2011 AAPG digital textbook, Introduction to Seismic Interpretation (DSC-16), captured much of the learnings from those courses. In 2011, he offered the first free-to-students GCSSEPM short course on seismic interpretation for approximately 30 participants at the University of Louisiana Lafayette, and offered the fifth such course (with co-instructor Carl Fiduk) in February at the University of Houston. His willingness to volunteer and mentor young geoscientists is a crucial contribution to the success of GCSSEPM. A Canadian, transplanted to the Gulf Coast, Bruce joined the section when he was drafted to run for President of GCSSEPM in 2010. He has enthusiastically served as President Elect, President and Past President. He continued to serve by becoming a Trustee of the Foundation in 2012. He has held previous volunteer positions (Associate Editor, President, etc.) with AAPG, CSPG, SPE, SEG, NMGS, and CSRG.